Safety and quality are two of the most important goals of any type of construction or renovation project and paying attention to details like stair nosings helps achieve these goals. Sometimes referred to as stair edgings, stair nosings define and reinforce step edges. Depending on their application, they can offer enhanced visibility for low light conditions or people with visual impairments. They also enhance the durability of the stair tread and floor covering used on the staircase, by eliminating excessive wear patterns, especially in areas of heavy usage. 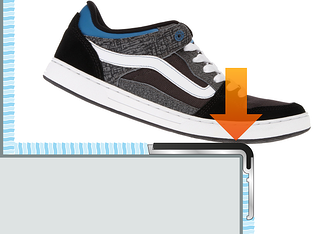 Stair nosings are problem solvers and problem preventers. Since the stair nosing is where people step on the stair, it is the part that tends to wear out first. With stair nosings, you can prevent the problem of worn stairs. You are also helping to prevent the problem of slips and falls because of the anti-slip features that stair nosings provide. Commercial buildings, such as schools, universities, stadiums, and office complexes get a tremendous amount of pedestrian traffic each day. Building owners must thus take every possible precaution to ensure the safety of these users and help protect themsleves against litigation should an accident occur. Installing safety and visibility-enhancing aids such as stair nosings is the best way to fulfill this need while adding beauty and character to the building’s décor. You become a problem solver if your existing floor material is worn out from lack of use of stair nosing in the original installation and you retrofit the worn out stair nosing by cutting out the bad part and replacing it with a nosing and an anti-slip insert. The simple act of adding quality stair nosings can help prevent slips and falls, add a sense of security, and help prolong the wear of both the stair tread and the floor-covering product used on the stairs. Stair nosings are perfect for educational facilities, commercial buildings, hospitals, stadiums, movie theaters, and more. Some of the installations where you will find Gradus stair nosings include the Gwinnett and Fayette County School systems in Georgia, the University of Georgia, the Indianapolis 500 skyboxes, and the Sony Center in Toronto. Basically, any public place where there is heavy traffic is suitable for stair nosings. 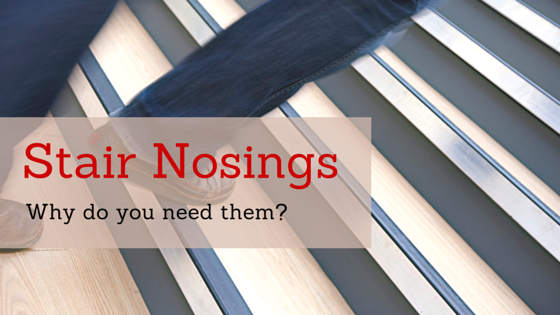 What type of stair nosing is best? When considering the type of stair nosing that will best fit your needs, look for both durability and aesthetic value. There are a number of finishes available at a high quality that will suit the decor of the facility. Corporate America loves bronze. 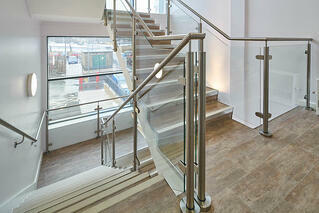 Chrome stair nosings offer a shiny, steel look. Educational facilities love aluminum products. 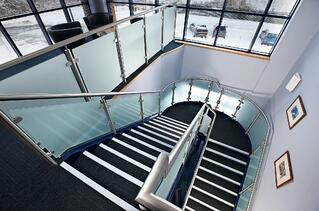 At Optimum, we have partnered with Gradus for a reason. Their products last. Gradus products are considered the Cadillac of flooring accessories. While there are more cost effective options, like PVC, there is a sacrifice in quality. Whereas the typical flexible PVC stair nosing will crack after 2-3 years of heavy traffic, Gradus nosings will last for 10-15 years. If you have any questions or would like to see samples, please contact us or download the Gradus digital catalog.